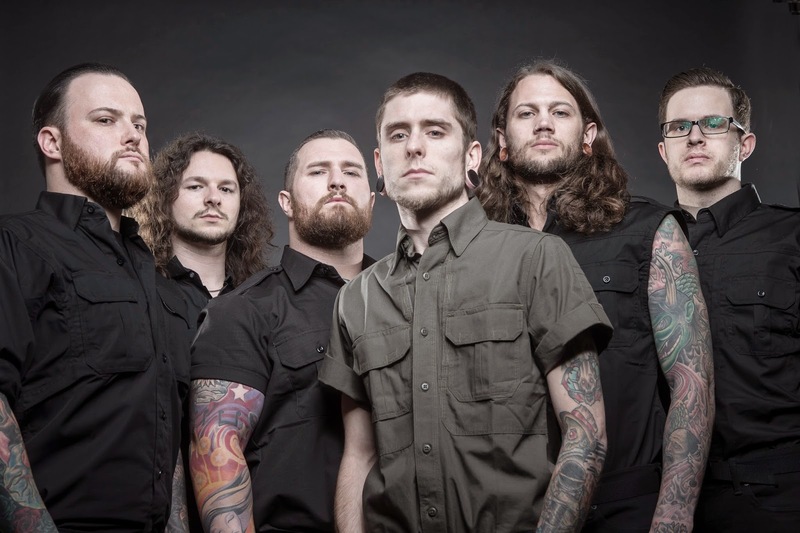 Whitechapel were able to finally set themselves apart from the generic make-up of the larger portion of the recent deathcore scene with their 2012 self-titled effort (reviewed here), with the album being regarded as one of their best releases to date. The band are often met with love/hate criticism that typically invokes the wrath of the more hardened metal head, although they've managed to expand their audience base significantly since their last release. Have the Tennessee based group kept their rampage alive with their most recent, and fifth, installment, Our Endless War? 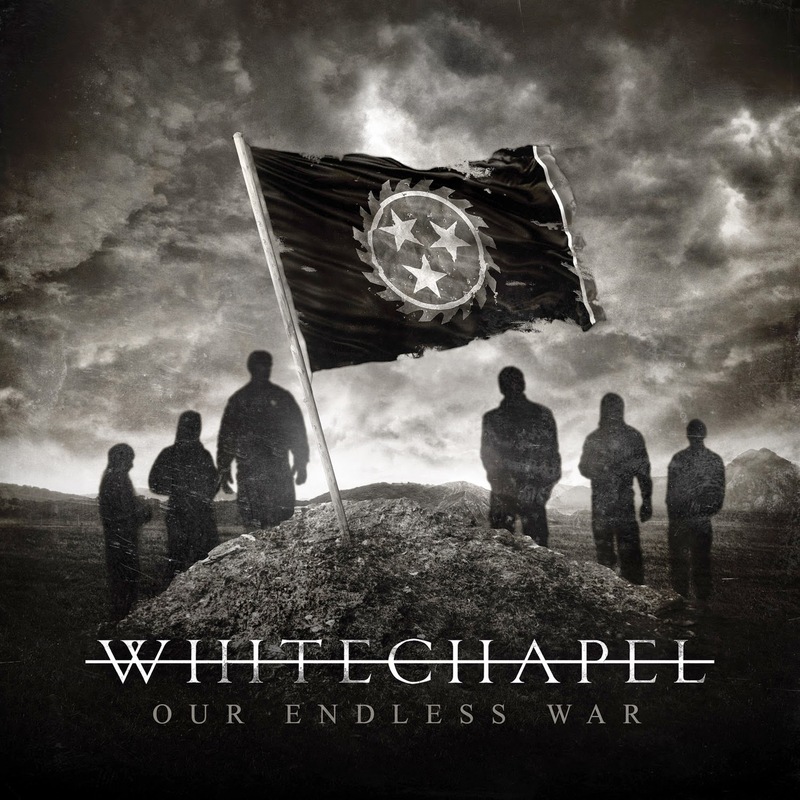 Our Endless War is an album that showcases just how far Whitechapel have evolved and matured both in sound and as a band during their intermediate eight year career into individualized, respectable deathcore. While the material here offers an overabundance of breakdowns, these traditional deathcore composures are absurdly enjoyable to the point of being downright catchy tunes that the audience will find themselves randomly humming after their initial exposure. Some songs, such as "The Saw is the Law" and "Worship the Digital Age" feel as though they're made up entirely of slow breakdowns and slammy bits of goodness, but are some of the most endearing tracks found within the content. The material itself is dark and gloomy with bouts of depression that's invoked by anti-goverment and anti-society themes which prove to make the lyrical content interestingly nihilistic as they convey a mood of hopelessness; however, the listener will have fun growling along with the catchy choruses. Often the lyrics carve deep cuts in the psyche of the audience, with verses and choruses such as "sell your soul and worship the digital age!" and "kill yourself, your kids and your wife", as they are important visions into the era and mindset which we are currently living. Phil Bozeman has really progressed with both his song writing talents and vocal abilities in this release, the audience will find themselves surprised by the new found depth of his growls and his hard hitting gruff tone that hovers on the border of gutturals at some points, such as in "Fall of the Hypocrites". The drums are mixed very high, almost to the point of being overpowering at times; however it also suffices to say that the drum work is one of the best features on Our Endless War. Ben Harclerode, who makes his second Whitechapel appearance in this release, is efficient at quick flicks of the wrist and keeps a tight, enthralling performance throughout the content. The beats stick to individual patterns for a long enough period of time to provide the main grounding to the audio, mostly using tom-tom and snare work that creates a dynamic background atmosphere. This, coupled with lightning quick, sometimes obviously triggered, double bass kicks and just enough accenting hi-hats make the composed slams and breakdowns all the more outstanding. While the vocals and drums take over the front of the mix, the guitars find themselves pushed to the mid-back of the production at times or laid right under the aforesaid components. The lead guitar is made up of swift melodic compositions that are clean in both tone and execution, striking with precision accuracy; these solos bounce around in the production, being heard in both the back and front of the content which gives unforseen turns in the arrangements. To offset the cleanliness of the lead guitar, the rhythm guitar has a profound twangy obscure distortion that stands out significantly during one string bends, such as in "Let Me Burn". Often the rhythm guitar is heard strumming diminished riffs in the background, being backed by deep bass lines, and palm muted chords that run in triplets alongside the drum patterns. Combined, these fundamentals are distinguished on their own, however it's the musical architecture that causes this album to exceed any preconceived expectations. For instance, "Mono" is an extremely uptempo track where the vocals keep up effortlessly with the blistering pace of the instruments without missing a beat. "Worship the Digital Age" is one of the most recognizable songs on the tracklist with it's dynamic aggression, powerful flooring growls and impactful lyrical content. There are new and random excursions incorporated throughout Our Endless War that puts any nay-saying about Whitechapel's abilities to break out of standard deathcore to shame; these new inclusions consist of clean picking, vocal megaphone effects, abrupt tempo and composure changes and a combination of enjoyable slams and differentiated breakdowns. In the later portion of the content more melodic tendencies begin to happen, such as in "Diggs Road", which is a refreshing, slower paced effort among all of the quick, rough deathcore tracks. A sure contender for album of the year, Whitechapel have blown away their well respectable self-titled last effort with Our Endless War. Their sound has matured and become more unique, standing out among the overly replicated deathcore bands who surround them. This material is full of aggression, tasteful breakdowns, meaningful lyrical matter and all around catchy content that is sure to get heads banging. 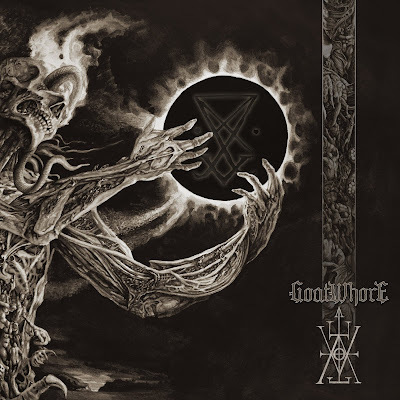 At times the material feels too weighted down with breakdowns as it's one after another during a few tracks, however the longevity of the album provides many tracks that are without the standard deathcore markup. It's easier to point out the songs that don't capture any attention, however "Mono", "Let Me Burn", "The Saw is the Law", "Worship the Digital Age" and "Fall of the Hypocrites" are the tracks that make the album hands down. 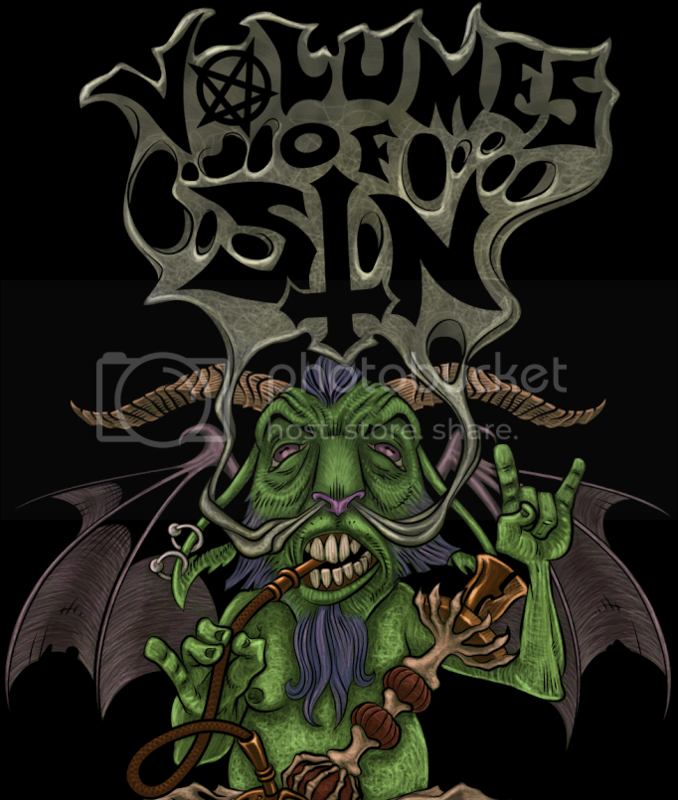 Check this one out in late April on Metal Blade Records or you're sure to regret it!